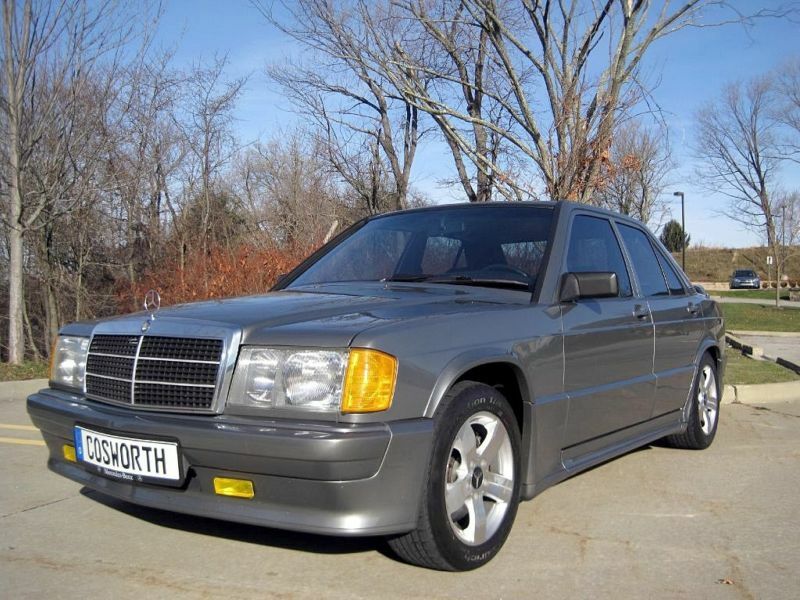 As the seller of this Cosworth powered Benz state, if you didn’t get what you wanted for Christmas why not spend some of those checks from grandma on this low mileage car. 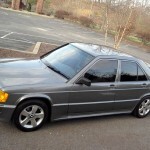 This very clean 190E has low mileage having covered less than 58,000 miles since 1986. 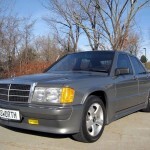 We post a fair number of these great pocket sport sedans. They appear on the market fairly regularly despite relatively low production numbers. There aren’t that many out there with this kind of mileage and this good looking shape. 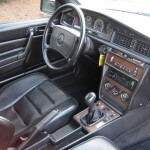 This one isn’t a collector car, but a driver as it has been gone over with some new parts and paint. The car hasn’t been customized into boy racer status though so while the originality police will stay away the average person with a hankering for 190E 16V will find this one attractive. The seller, in his much hated around here all CAPS description, states the car has a recent service of brakes, A/C, tires, suspension(? 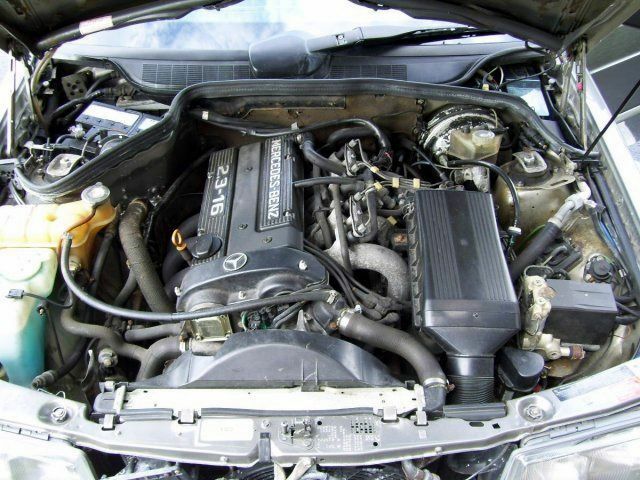 ), starter, motor mounts, alternator, starter, battery and a few others. A potential new owner should look for receipts on these items to see what exactly was done and how recent. When we see cars that have had the battery, alternator, and starter replaced all at the same time it raises alarm bells of possible parisitic battery drain from an electrical problem and/or a car that has been sitting for awhile not being driven. Not saying that is what is going on here, but it is worth looking into. A potential owner will want to run through that dog leg 5 speed a few times to see how it shifts, the seller says things are nice and tight. The ask price is $12,900.Â That is the high end of most eBay 190Es that aren’t particularly special, but most eBay 190Es look a lot worse for wear and appear to be driven a lot harder and put away wetter. The nice flat face headlights, chrome exhaust tips and uncracked body kit are also a selling point of this one that help it present well. 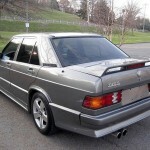 Tagged 190E 2.3-16, 1986, Mercedes Benz, W201. 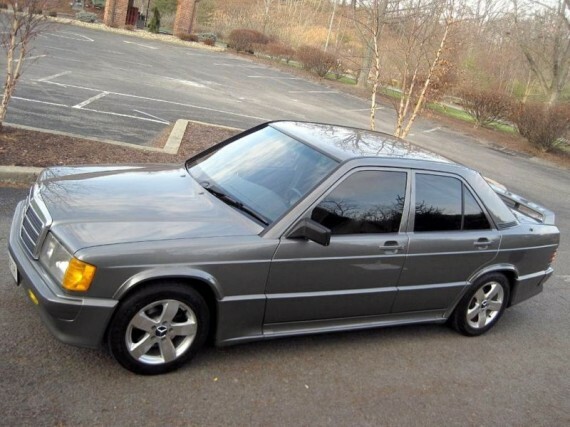 That really is a beautiful 190E. Based on the seller’s ebay activity it is fair to say that he is a dealer. Even with low mileage $12,900 is a lot for this car and at that price I’d want to buy from an owner… preferably the original owner. Anyway, it is still a beautiful car. other than that, if the car is as advertised….this is the best example I’ve seen in quite sometime. The wheels and exhaust tips are easily changed. 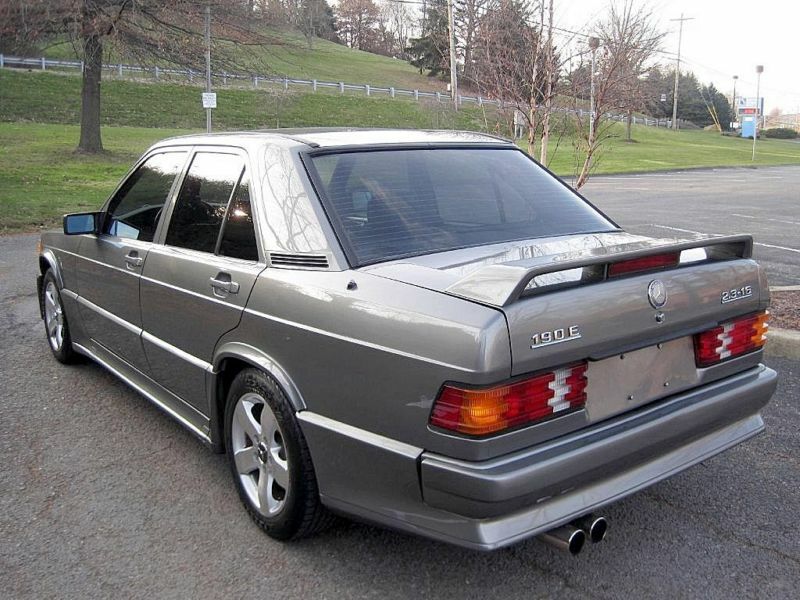 An enthusiast willing to pay that kind cash would be more concerned with the repaint. This ad has the same VIN as a car for sale in GA a few months back (rims and front Euro plate the same too) except that car had 115K miles. Even though I feel $12k is a lot for this car thats the price they all seem to be selling at. I wish the 2.5 was here. That is the only one I would want. At this price I can buy a good E36 M3. Why would I buy this over that? Both are equally “historical” and modern classics. 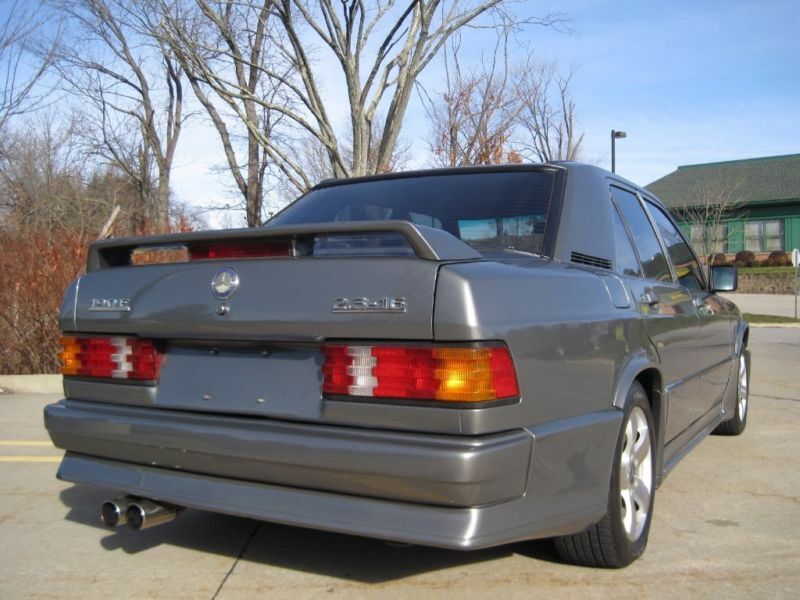 The M3 is cheaper, better, more recognizable, etc. Like I said if the 2.5 was sold here I wouldn’t be saying this and would think GREAT PRICE. 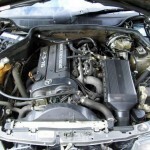 If you want an M3 then spend a little more and get an E46 with a 6 sp. It is destined to be a classic. @Sean Thanks for catching that. 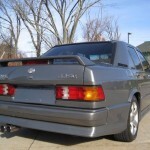 There is definitely something odd going on, the previous listing was in Georgia and this current one is in Pennsylvania, same car, different mileage and VINs indeed. As we have seen cases of VIN swapping on Euro grey market cars in the past a buyer is going to want to look carefully at this one and what the actual mileage is. eBay doesn’t always accept Euro VINs, but normally that is disclosed and doesn’t seem to be the problem here.